Topic: Which key for spells? Re: Which key for spells? 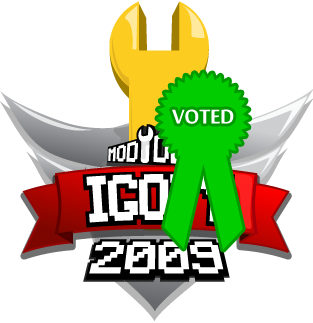 when you are in rpg mode I beleive you press "tab"
Topic: WE'RE IN THE FINALS FOR GOTY, PLEASE VOTE AGAIN! Re: SANDBOX A TOP 100 PROJECT OF 09 PLEASE SECOND ROUND VOTE!!! Topic: Mike, what kind of help are you needing? Re: Mike, what kind of help are you needing? Chaze007 wrote: Everyone except me because, I'M NOT ALLOWED THERE! D:! awesome i'll check 'em out! Forum: Project Discussion - Promote/Show Off Your Games, Mods, Maps, Etc! Topic: I voted. Did you? Re: I voted. Did you?